MUNICH -- BMW AG deliveries increased 21 percent to 382,758 vehicles in the first quarter, the company said Friday. "Sales volume of the year 2011 is expected to rise to well over 1.5 million units, a new all-time high, with the BMW, Mini and Rolls-Royce brands all achieving new sales volume records," sales chief Ian Robertson said in a statement Friday, reiterating a goal the automaker announced in January at the Detroit auto show. 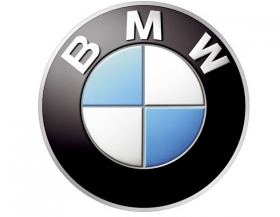 BMW Group sold 1.46 million cars last year. Its best sales year ever came in 2007 when it sold 1,500,678 BMW, Mini and Rolls-Royce models. In the first quarter, BMW-brand sales rose 21 percent to 321,175 units, the company said. The gain helped it stay ahead of hard-charging German rival Audi. The Volkswagen AG luxury carmaker's first-quarter sales jumped 18 percent to 312,600 vehicles. Deliveries at the Mercedes-Benz brand gained 13 percent to 280,552 leaving the Daimler AG marque in third-place among premium-car sales leaders.